Our Hydrogenated Castor Oil is processed under hygienic conditions in order to provide supreme quality and purity. Castor Oil that we offer is free from any kind of impurities. 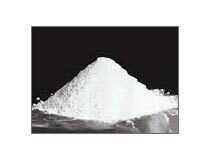 It has wide application in coating and greasing various products. We package Hydrogenated Castor Oil in high-grade packaging material to ensure its safe delivery. We believe in providing Hydrogenated Castor Oil within given time frame.